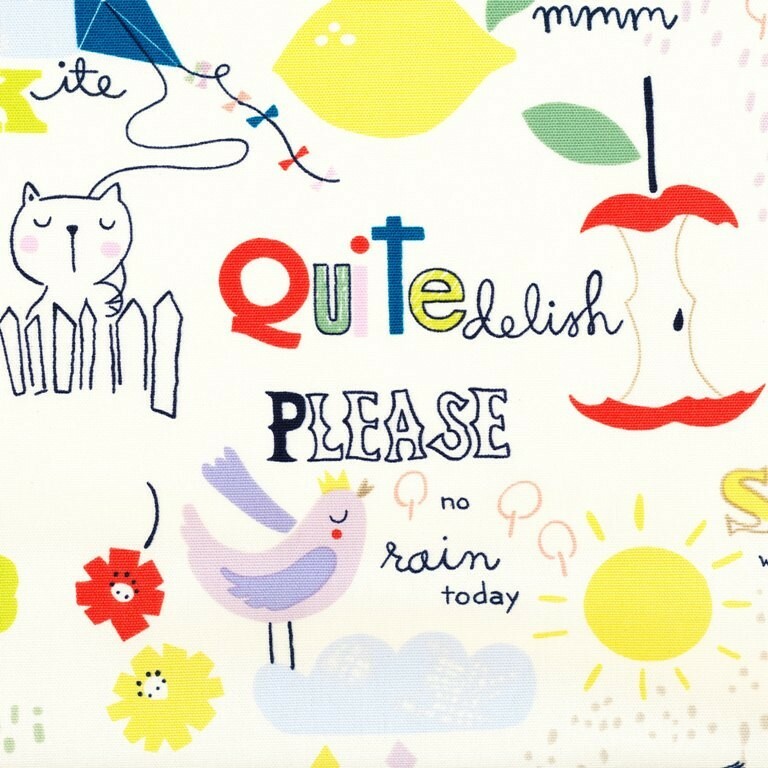 Alexander Henry Quite Delish is an adorable children's home décor fabric design, featuring fun drawings of animals, apples, pencils and alphabet letters & script. 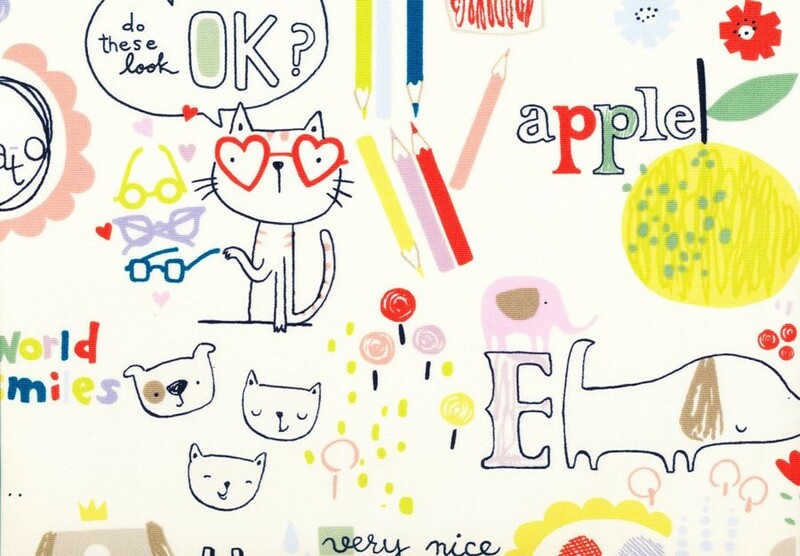 This design would look fabulous made up into a cushion, blind or lampshade for a child's bedroom. Motif Size Apples 10cm long. Dogs 11cm long. Cat 8.5cm tall.